As much as you love a beautiful home, constantly fighting the dirtiness that builds on your floors, walls, and furniture can be a real drag. If you have children or simply have a busy life, hiring a maid to come in and clean your home can allow you to enjoy your time away from work. While it may sound lazy to some hardworking individuals, if you're making a decent wage, hiring a maid to clean your home can simply be the most efficient use of your time and money. Hiring a maid service company may not be as daunting as hiring a single, independent cleaner to come into your home, but the reality is you don't really know the people who will be doing the cleaning job, either. We have run background checks on all the agencies we match you with and provide a quality-control rating system to allow you to find a reputable cleaning company in your area. These cleaning companies can usually be hired by the hour or by the task. Paying the companies by the hour is often the preferred method to ensure maids aren't flying through the cleaning tasks they've been assigned. It gives you a guarantee by taking full responsibility of maids if they cause or create any trouble with your home. 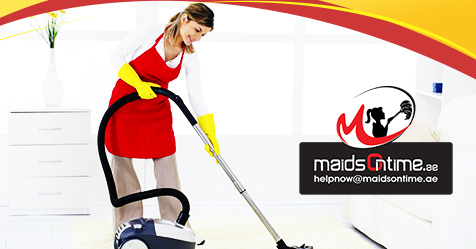 Hence, hiring maids through maid service agency is always the safest and the smartest way. With maid service agency you can make your life clean and perfect. Simultaneously, it is also important to respect them. They can make your daily chores simple, smartest and trouble free. How to clean my Home??? Cleaning your home seems like a challenging task, but when you sit down to thinking about it, where do you even start? Once you get started, you won't want to stop until the whole home is spick and span. The first step is making a plan. Decide how clean you want your home to be and how much time you have. This will help you decide how to set up your cleaning schedule. The next the is you always have the idea about which rooms you plan to start and finish your cleaning. If you don’t have much time, start with the clutter first and work your way to more serious things from there. You always have a cleaning checklist. At the time of home cleaning process, the process is not only your responsibility you can divide the whole duty to your family member too. At the time of division of work you make sure that don't have to go from one task to another. As you are cleaning, walk around the house with a garbage bag and a laundry bag. This way you can pick up as you go and won't have to walk back and forth. Once you have deep-cleaned your house, give it a once-over every two weeks. It will keep the place looking nice and spare you the long, agonizing job of doing several months' worth of cleaning at once. Maids on time is the best cleaning service company in Dubai.We provided well trained and Qualified Maids in Dubai.